We conducted asset-based observations and appreciative interviews with the staff of Fannie Lou Hamer Freedom High School in the Bronx, N.Y., focusing on “Substantive Conversation.” This is a continuation of an ongoing project to implement the framework “Authentic Intellectual Work” (AIW), which was begun last year and continued this year as a deep dive into the AIW framework. We joined the Winooski Leadership Team in Winooski, Vermont, in continuing efforts to transform the middle and high schools into educational entities that are rooted in proficiency-based graduation requirements. We discussed clarifying priorities, evaluating current timelines, and personalized learning plans, and creating structures for the leadership team to support this complex work. Our staff helped facilitate the creation of innovative proposals for the principals and fellows of The Rowland Foundation in Stowe, Vermont — all in the name of the successful implementation of future Rowland Fellowship projects. Eagle Rock personnel met with staff from the Rise Up Community School in Denver to support that school’s peer-learning labs. Rise Up then visited Eagle Rock School here in Estes Park to support us with same process. Former Eagle Rock staffers Karen Ikegami and Ryan Plantz are among the founding staff at Rise Up. Our staff met with leaders from iLEAD Education Corp. — a California-based organization that produces charter schools around the nation that foster a project-based curriculum and student-led assessment with global and culturally diverse influences. The meeting was intended to support iLEAD’s efforts to learn more about and implement protocols related to competency-based graduation. If you’re unfamiliar with this organization, iLEAD stands for International Leadership Entrepreneurial Development Arts Design, and more information is available online at https://ileadschools.org. Eagle Rock Professional Development Associate Anastacia Galloway was on hand to provide a feedback session for instructors who are currently incorporating project-based learning curriculum into their classrooms at Harrison Central High School in Cadiz, Ohio. Toronto High School in Toronto, Ohio, is where we conducted asset-based interviews based on how the first round of that school’s Plan, Do, Study, Act (PDSA) cycles went. In addition, we gathered up feedback for developing next year’s professional development focus for our work with this school. Then it was on to Austin, Texas, where we conducted focus groups within the Austin Independent School District in order to help the district in its efforts to bring 21st century skills into its schools through entrepreneurship-focused curriculum. In Thornton, Colo., members of our professional development team conducted focus groups with ninth-grade students at the Mesa Expeditionary School of the Arts as part of that school’s interest in launching a school leadership project to improve school culture. Back at Eagle Rock, we launched several peer learning labs in collaboration with Rise Up Community School. Eagle Rock School Human Performance & Outdoor Education Instructional Specialist Jon Anderson spoke at the World Ranger Congress at Rocky Mountain National Park (RMNP). 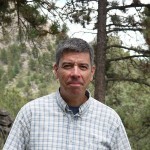 Jon’s talk, co-presented with Ben Bobowski, the park’s acting superintendent at the time, was titled “Creating the Next Century of Stewards — Eagle Rock School Collaborative Partnership,” and focused on Eagle Rock School’s collaborative partnership with the RMNP — which includes a focus on experiential learning and citizen science, and further demonstrates how our work serves a national purpose. At the New Mexico Center for School Leadership (NMCSL) in Albuquerque, our professional development staffers collected exemplars of performance-based assessments among five new metrics schools to serve as resources for a new metrics tool. We started off the month of June at the E’Tude Group in Sheboygan, Wis., where we launched new metrics work and had the opportunity to observe student exhibitions. The Étude Group is part of the Sheboygan Area School District and operates three charter schools — the Elementary School for the Arts and Academics (grades kindergarten to five), The Mosaic School (grades six to eight), and IDEAS Academy (grades nine to 12) — focusing on teaching students the content and skills necessary to be successful in a world that increasingly values creativity and innovation. In Milwaukee, Wis., our staff prepared for a Public Allies director visit related to results-based accountability and recruiting and retaining diverse talent in the social sector. Public Allies Eagle Rock has been a program of Eagle Rock School and Professional Development Center since 2001, and a proud member of the AmeriCorps national service network. Eagle Rock staff members presented “Embodied Leadership at Eagle Rock School,” and “Citizen Science: Engaging students in Real World Science Projects at the Traverse Conference, held at Watershed School in Boulder, Colo. Traverse is a conference dedicated to the thoughts and work necessary to re-imagine school as a hub for real-world learning. In order to continue developing a Critical Friends Group among the administrators in the Ohio Valley, our professional development team members met with school leaders at the Jefferson County Educational Service Center (JCESC) in Steubenville, Ohio. We helped create a plan of action for next school year in order to improve the peer observation process at Fannie Lou in Bronx, N.Y. The program included a reflection of annual focus on peer observation within context of the Framework for Authentic Intellectual Work (AIW). This is an evaluative tool used by educators of all subjects at the elementary and secondary levels to assess the quality of classroom instruction, assignments and student work. Eagle Rock had a strong presence at the Facilitating School Development Institute in Winooski, Vermont — the site for a summer work retreat for Winooski Middle/High School teachers. Our focus was on continuing to help develop complex projects that will serve as graduation requirements, aligned with Winooski’s proficiency-based graduation expectations. Nearer to home, we facilitated the development of a strategic plan for the Estes Park School District — a plan that builds upon the district’s work in establishing Essential Learning Standards and working in Professional Learning Communities to ensure all students meet these standards. As you can see, to date, it’s been a busy few months, but there’s more on the immediate horizon — all of which is connected to that part of our strategic plan that calls for Eagle Rock and our professional development center to continue pressing forward in support of this nation’s high school youth being fully engaged in their own education. At Rosemary Anderson High School in Portland, Ore., Michael Soguero will reflect upon actions taken since spring to redesign the school around increased student engagement. 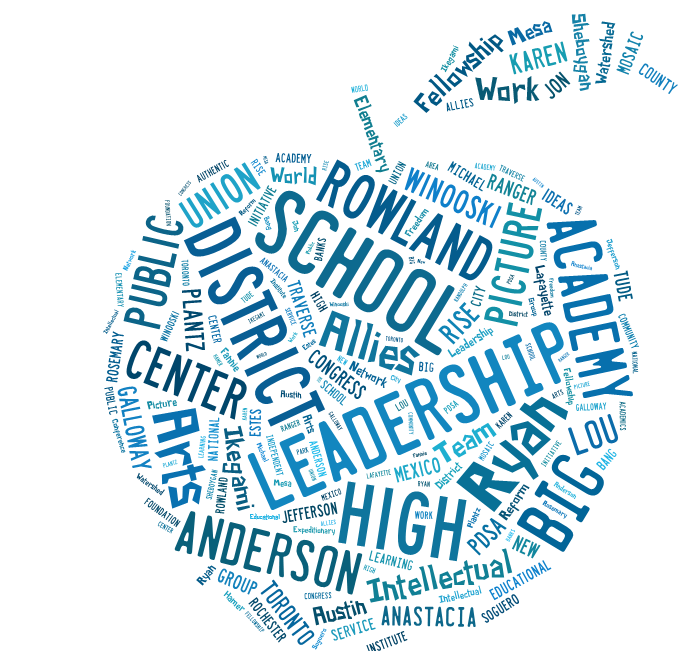 The objective here is to develop a plan of action to inform professional development at Rosemary Anderson High School for the 2016-2017 school year. Rochester City School District in Rochester, N.Y., is where we will strategize ways to build upon last year’s successes within the district’s professional learning community. We will be particularly focused on restorative practices — including the establishment of goals, a timeline and strategy for the 2016-2017 school year. The Lafayette Big Picture program in Lafayette, N.Y., will lean on us to facilitate the evaluation of (and building upon) a school-wide project to improve student goal-setting and accomplishment. In addition, the program will determine the next steps in having all seniors ready to graduate with a strong post-secondary plan. Here at Eagle Rock, we will host a School Reform Initiative (SRI) retreat, with SRI teacher affiliates from across the nation engaging in an Improvement Science retreat. We will facilitate the retreat to establish a common aim for specific, measurable improvements in pre-service education and share our learnings as part of a Networked Improvement Community. Also at Eagle Rock, we will launch a Deeper Learning Cohort — a network of schools committed to improving equity through the use of Improvement Science and student independent projects. ”Big Bang” is Big Picture Learning’s international conference on student-centered learning, scheduled this year in Orlando, Fla. Big Bang 2016 is expected to draw more than 500 educators from all over the world for a deep dive into the teaching and learning practices that best drive student engagement and involvement, both inside and outside of school. Our Professional Development Center team designs and facilitates the leadership strand of the conference. In Albuquerque, we will participate in a forum intended to strengthen leadership within the New Mexico Center for School Leadership (NMCSL) in service to the Leadership Network of Schools. Eagle Rock staffers will attend the Public Allies National Leadership Institute. The institute attracts operating partners like Eagle Rock, program staff and alumni leaders from around the globe. This year’s National Leadership Institute will be held in Pittsburgh, Pa.
Back home, we will host a two-day retreat focusing on Active Classroom Management in conjunction with the Mesa Expeditionary School of the Arts. And we wrap up the summer season in California with another visit with staff at iLead Education Corp. There, we will continue our work helping this organization with its interest in seeing competency-based education deployed throughout its network of charter schools. This entry was posted in News From the Rock, Professional Development Center and tagged Anastacia Galloway, Austin Independent School District, Authentic Intellectual Work, Big Bang 2016, Big Picture Learning, E’Tude Group, Estes Park School District, Fannie Lou Hamer Freedom High School, IDEAS Academy, Jefferson County Educational Service Center, Jon Anderson, Karen Ikegami, Lafayette Big Picture, Leadership Network of Schools, Mesa Expeditionary School of the Arts, Michael Soguero, New Mexico Center for School Leadership, PDSA, Public Allies, Public Allies National Leadership Institute, Randolph Union High School, Rise Up Community School, Rochester City School District, Rosemary Anderson High School, Rowland Fellowship, Rowland Foundation, Ryan Banks Academy, Ryan Plantz, School Reform Initiative, Sheboygan Area School District, Strategic Plan, the Elementary School for the Arts and Academics, The Mosaic School, Toronto High School, Traverse Conference, Vision 2020, Watershed School, Winooski Leadership Team, World Ranger Congress.